To this day, within Indonesia, Suharto’s killing machine and its perpetrators are hailed victors in a carnival-esque world of lies, self-deception, corruption, and blinded injustice. In the country’s upcoming 2014 July elections, many candidates who were masterminds of torture, mass murder, and innumerable disappearances of so-called agitators are leading in the polls, indicative of a 49-year-old fear of murder and mayhem lingering in the shadows of a history confabulated by the victors. Pulling back the scrim of this nation’s genocide and the lies that perpetuate the indelible fear is the focus of Joshua Oppenheimer’s latest documentary, The Act of Killing, nominated for an Academy Award for Best Documentary Feature. Originally, Oppenheimer set out to give voice to a survivor’s family in the plantation belt outside Medan but was met with unimaginable obstacles. As a means to circumvent — and ultimately expose — the entrenched system of the victor’s heroic façade, Oppenheimer and his co-directors Christine Cynn and Anonymous (Indonesian partners in myriad aspects of producing the documentary yet unable to be named in fear of retribution) turned to the perpetrators of the Indonesian genocide. What they discovered was humanity in its most naked of forms. The film is a tableau of modern day Indonesia with its shopping malls and life-size billboards, affordable only to those in power, and the fearful sub-society riddled with poverty, grief, and the gag of silence. The Act of Killing also takes the viewer on an indirect, yet in-your-face, exploration into America’s culpability in post-World War II genocide. On center stage are Hollywood-esque reenactments of how individual “communist” killings were executed. And yet, the actors aren’t actors at all. And yet they are. But Oppenheimer doesn’t wag a finger in disgust or judgment. The ultimate message in his film is that regardless of where we live and what we do, we are all human. Evil is at the heart of humanity. There are not one or two or three monsters in this world. We are all monsters. And it is up to each of us — collectively and as individuals — to stare it straight in the eye and say: monster no more. GALO recently spoke with Mr. Oppenheimer about filmmaking, genocide, politics, and the culture of lies. GALO: Congratulations on your Academy Award nomination for Best Documentary Feature. What does this nomination mean to you after the time you’ve spent in Indonesia? 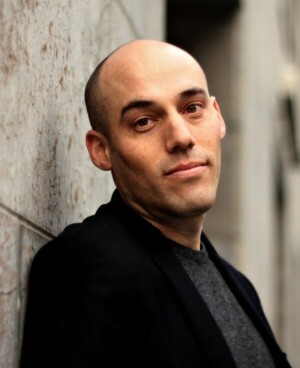 Joshua Oppenheimer: Thank you. Of course, we’re grateful. It’s a remarkable honor for us as filmmakers, but, above all, it’s a very important moment for Indonesians — and, in particular, for the survivors of the 1965 genocide. It is my hope that the nomination encourages Indonesians to demand that their government acknowledge the moral catastrophe of the genocide and acknowledge the moral catastrophe of the regime that the perpetrators have built — the regime of fear, corruption, and impunity. That’s why the nomination is most important to me. GALO: What impact do you think the nomination will have on the people of Indonesia? JO: The Act of Killing has already changed the national conversation in Indonesia about 1965 and the lies and the official history of the mass murders. When we found out it was nominated, we realized that the film would be on the front pages of Indonesian newspapers the next day. It’s the very first Indonesian film ever to be nominated for an Academy Award. When the film makes headlines, what’s really making headlines are the issues of impunity that the film highlights. And it’s a very important moment for Indonesians to be dealing with these issues. The government still teaches children in school an official history that blames the survivors for the murders of their dead relatives. They still anoint mass murderers as national heroes. This year in Indonesia there are both parliamentary and presidential elections, and the leading candidates include men personally involved with crimes against humanity. The leading presidential contender, Prabowo Subianto, is a retired army general and son-in-law of General Suharto, the dictator who came to power through the genocide. This candidate has the dubious distinction of being the very first man on the U.S. State Department’s blacklist and is not allowed to enter the United States for his role in masterminding mass murder, torture, and disappearances. The ordinary people of Indonesia are afraid of them because of their role in crimes against humanity. It’s really important that this [Oscar] nomination emboldens Indonesians to hold their leaders to account for their crimes — be they crimes against humanity or rampant corruption that, until now, they have gotten away with. GALO: Early in your film, Anwar Congo, one of the perpetrators of the 1965 genocide, explains with enormous pride, “We have to show that this is the history so the future will remember us…we have to reenact this properly.” At one point he even mocks himself for wearing white pants, joking that it looked as though he were going to a picnic. The German-Swedish writer and dramatist, Peter Weiss, writes: “We’re all so clogged with dead ideas passed from generation to generation that even the best of us don’t know the way out.” During your off-camera talks with Anwar and his friends, did they ever intimate where their hatred of communists originated? Was it from their fathers, or their fathers’ fathers? JO: The quote you read from Peter Weiss is so beautiful and apt and really gets to the core of what this film is about, and what my filmmaking in general is about. When you ask perpetrators of genocide why they’ve killed, they will inevitably give you the excuse that they’ve come to ever since committing the crime. As do perpetrators of any crime that they inevitably know is wrong. The trick is somehow to try and excavate why they committed the crime in the first place. Anwar and his friends were killing and beating people as hit men before the genocide. They were gangsters. They were criminals. They were making themselves available as hit men for more powerful Indonesians, whether politicians or businessmen or mafia bosses. They killed for power and money. And they collectively made up a lie, in part to assuage their own consciences. Anwar was the 41st perpetrator that I filmed in Indonesia. He was not unique in killing for power and money. Everybody I filmed, I think, actually killed for opportunism, for power, for money, and for the chance to eliminate their enemies. And they were rewarded for it. And I think if you work your way up the chain of command from the lowest ranking killers to the highest ranking killers — to General Suharto himself — all of them killed for the same reason and have then used ideology to justify it. Ideology is part of the excuse, but I don’t believe it is part of the original motive.